Cream blushes may not be everybody's cup of tea for oily to combination skinned beauties worry it may melt if their skin and dry beauties worry it may cause dry patches. I have combination to oily skin and I would always stay away from cream blushes. If I would use them it would be very on a rare occasion . 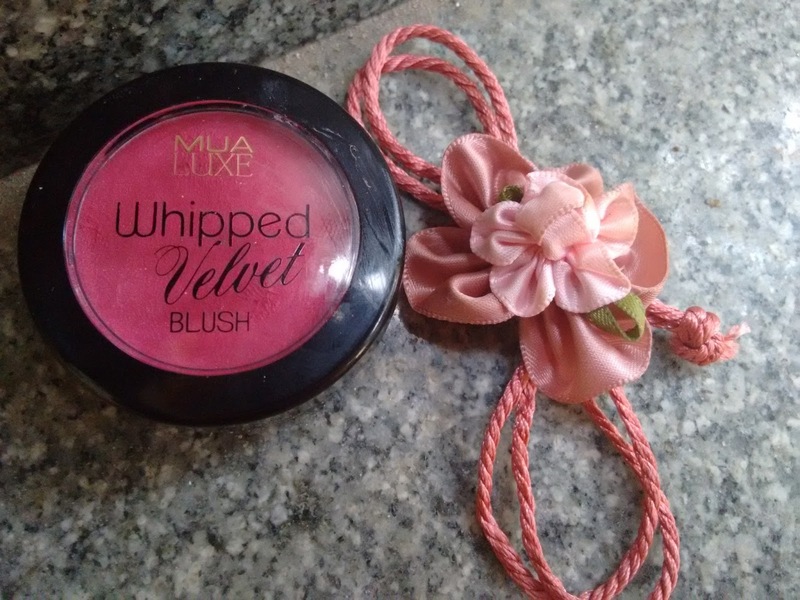 My first cream blush was from Maybelline dream touch blush in peach and I was blown off by the beautiful stain it left on my cheeks but with time the cream blush would look cakey and melt away if not topped off with powder blush or translucent powder. But things changed after I used a cream blush from another brand. Its all about your skin type. After which I used a cream blush from Makeup Revolution which was more on the matte side than the maybelline which was sheer and shiny on my cheeks. 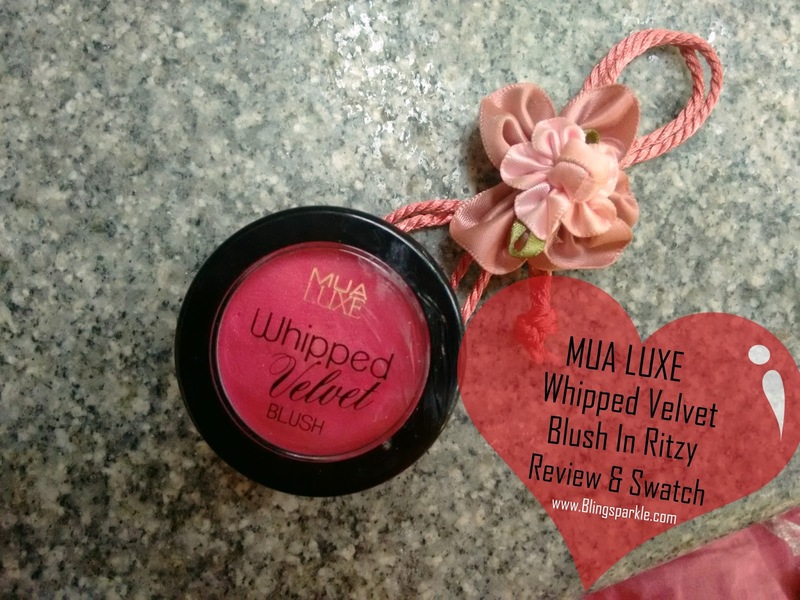 I fell in love with the Makeup Revolution cream blush and that is when I started purchasing cream blushes and now I have quite a few of them. Today I am going to review a gorgeous cream blush which is between a powder and cream- so velvety from MUA Luxe range! The cream blush comes in a small round black plastic pan with a screw cap. The screw cap is a see through with the name of the range and brand written in black. The packaging is sturdy and even though the blush slipped from my hands once it did not break. Overall the packaging is travel friendly and sturdy plus the see through portion on the cap makes it easier to locate the shade from the blush stash. Its super soft and velvetty in nature, the name ' Whipped velvet' does complete just to this. It feels like soft whipped cream when touched. The texture is between powder and cream and hence it is best to use a stippling brush or your fingers to bend this your cheeks. Highly pigmented, a little goes a long way. One must be careful when it comes to application. To much of the product might end making you look funny. Stays for a good 4 hours without primer underneath. Even though the color looks bright pink in the small pan it is a lovely flush pink when applied to the apples of my cheeks. I was absolutely in love with the texture of these cream blush! This cream blush is uber cute and awesome when it comes to staying power and pigmentation. 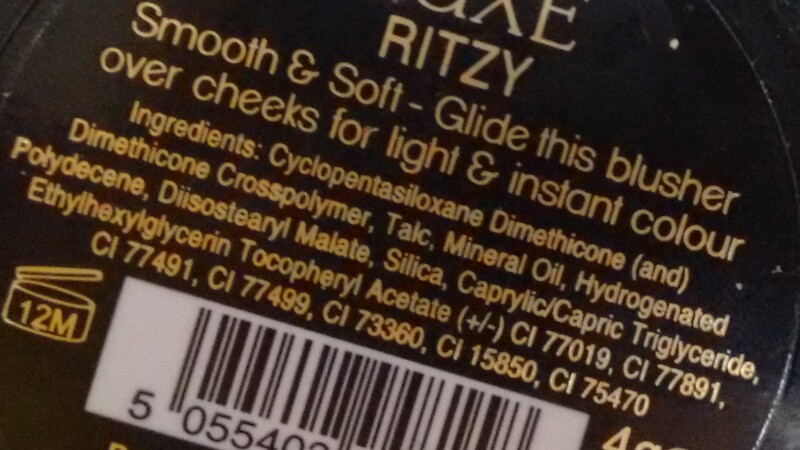 As I have oily skin I was scared of using it for outings which lasted more than 6 to 7 hours in the sun. 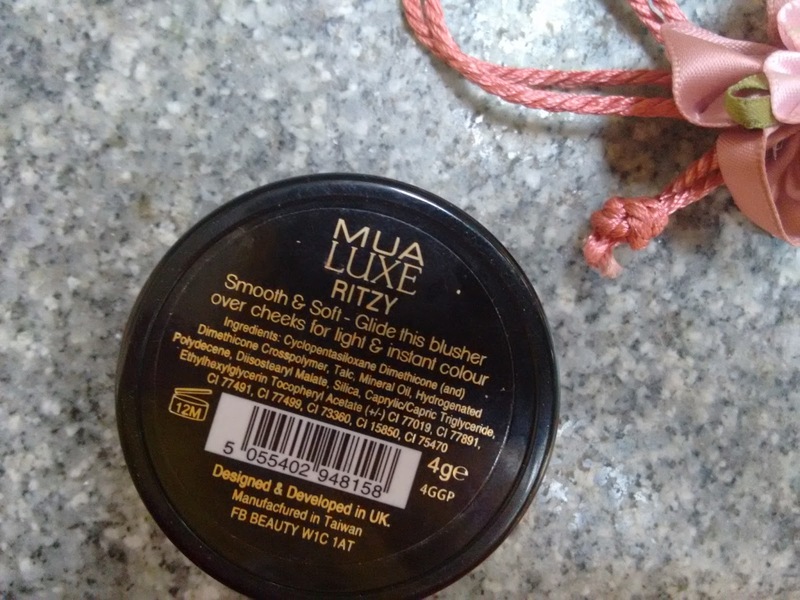 But I was surprised that this cream blush blend into y skin like velvet and gave my cheeks the natural-looking flush, This blush from the' MUA Luxe Velvet Range' is a must try for it can blend into the skin better than a powder. Also it is way to easier to use than you may think it is, but it can also improve your makeup game. I was sold to their light weight formula which was soft and felt like velvet on my cheeks. I can go on and on about this cream blush. But I do wish I had chosen a lighter shade as this cream blush is way too pigmented and I am worried I can never finish this off even if I used it on a daily basis my entire life! I apply the MUA Luxe cream blush after I have applied my foundation. As the the blush is highly pigmented I use my fingers to pick up a little amount and use tapping motions to blend it into my skin. The cream blush blends like a dream. I start from the apple of my cheeks and blend it back towards my hairline. 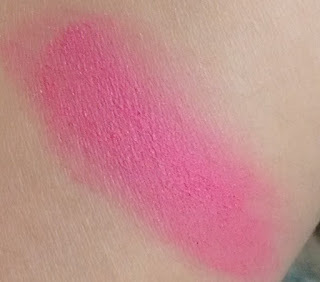 One must be careful with the blush as too much of the product will leave you with clown cheeks! As I am worried I don't end up with clown cheeks I start with little bit of product and layer it up to my desired intensity. Availble on Flipkart, Nykaa and Amazon. Cannot be found offline. Available in 5 beautiful shades to choose from which includes corals,pinks and browns. The consistency of the cream is soft and mousse like. The availability is a huge con. Even though its available online, most of the best shades are OOS most of the time. I wish MUA was introduced officially in India as it is one of the best drugstore makeup brand internationally. Excess of the product will leave with clown like cheeks. YES! But given the quantity I have received it is going to last forever and ever. Hence I would definitely try other shades like chichi which is a coral from this range. This shade is a must have in your cream blush stash as it is extremely soft and silky and melts like velvet when you touch it, the best cream blush formula ever! The shade looks very beautiful and I would totally recommend it for spring and winter! Even though the color is ultra bright surprisingly the cream blus is very easy to apply and blend on my skin. This cream blush doesn't dry and is light weight and gives that natural flushed look. If you use the correct amount the blush gives a gorgeous color to your cheeks and raises the glam factor. You just have to be sparing while using it and reach the perfect color. It will look great on medium to fair skinned beauties. By far the best cream blush I have used when i comes to amazing texture, color pay off and blendibility! 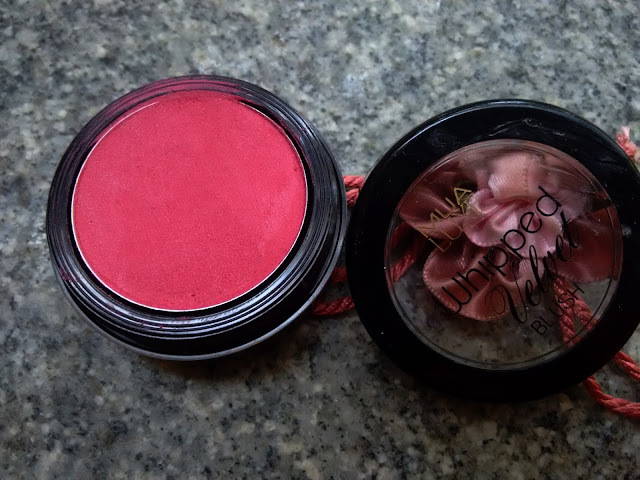 Overall, this is te most amazing cream blush that I can’t stop raving about! Since I bought this cream blush i have found that there is no need for me to invest any other cream blush in pink! 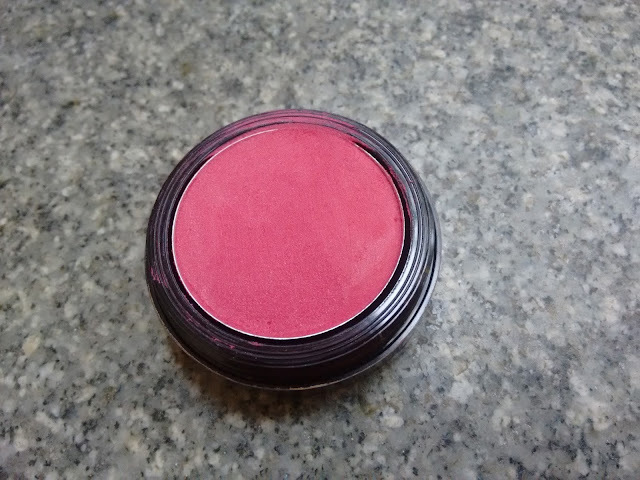 A super gorgeous, soft and blendable cream blush that I will be using for many years! A must buy grls plus its super affordable ! Lakme Absolute Victorian Rose Lip Tint Matte Crayon Review & Swatch!